24 September 2018 – Following the launch of the Sustainable Development Goals Lions at the 2018 Cannes Lions International Festival of Creativity, the inaugural Grand Prix winner, The Palau Legacy Project, was last night honoured with the “Champion for Humanity” Award from the We Are All Human Foundation. 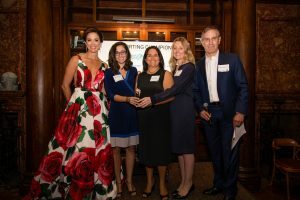 The Award was presented during the We Are All Human Foundation & Global GoalsCast UN General Assembly Kick-Off Reception of the UN’s Global Goals Week, a reception to gather a coalition of champions and celebrate progress and key initiatives that made a difference over the last year. 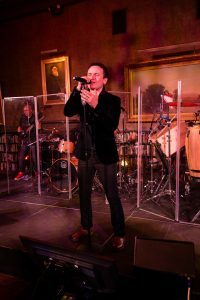 At the ceremony, Five- time Latin Grammy Award winner FONSECA , was also awarded for his dedication over the decades to the achievement of peace and an end to the armed conflict in Colombia and as an advocate for the healing of the society. The We Are All Human “Champion for Humanity” Award is a recognition for individuals or initiatives that have significantly contributed to scalable, positive progress towards advancing a better world for all. The Sustainable Development Goals Lion were launched to advance awareness of the Sustainable Development Goals (SDGs) that were unanimously adopted by world leaders at the United Nations in 2015. The Lion exists to encourage the creative industries to celebrate and support sustainability around the world, and set a precedent as an award for creativity for humanity. Owned by Ascential plc, Cannes Lions is committed to giving back to relevant projects and causes. Alongside the See It Be It gender initiative, the #MoreLikeMe diversity initiative and membership of the UN Women’s Unstereotype Alliance, revenues generated from both The Glass and SDG Lions are given back to relevant charities. We Are All Human’s mission is to advance equity, diversity and inclusion. It recently launched through the co-curation of the September issue of Marie Claire an initiative called the ‘Immigration Nation’. Global Goals Week exists to accelerate progress on the Sustainable Development Goals. The annual week of action, awareness and accountability, is currently taking place in New York until 29 September, #globalgoals. 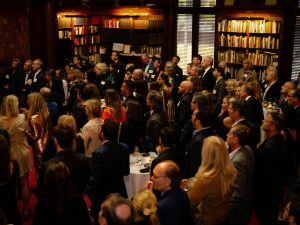 The Kick-Off Reception of the General Assembly of the United Nations was powered by Edelman. Global GoalsCast and We Are All Human are incredibly grateful for the leading support of Cannes Lions and thank the support of Aflac, BBDO, BNP Paribas, Business Insider, HARMAN, Leo Burnett, Mars, McCann Worldgroup, NRG, Pepsico, S&P Global, The Coca-Cola Company, Swarvoski, and World Food Programme. 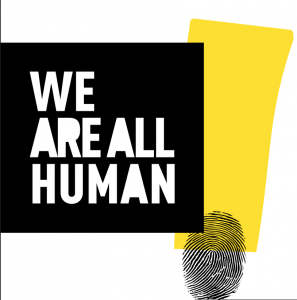 The We are All Human Foundation fights injustice and discrimination, promoting diversity, inclusion and equity through research and advocacy. We bring people together to rediscover our common humanity. We bridge divides, open minds, and transform how people think and act for the dignity of fellow human beings. We refuse to stand by and watch fear and hate erode the hopes and confidence of an entire generation. We are unapologetic in advocating for equity, diversity and inclusion. We are fearless in speaking out against all forms of discrimination; we will not let injustice hide under cover of silence. Global GoalsCast is an initiative of We Are All Human that inspires listeners to take action by sharing the stories of those who are making positive change in the world. This female-run podcast provides an innovative and compelling medium through which to communicate the progress of the UN’s 17 Sustainable Development Goals. Global GoalsCast has a myriad of partners including the United Nations, UNICEF, UNDP SDG Action Campaign, One Young World, UN Foundation, World Food Programme, IDLO, Malaria No More, Project Everyone, Pvblic Foundation, IOM, Global People’s Summit, United Nations University, Women Deliver, Mercy Corps, Yunus Social Business, Roll Back Malaria, Slow Food, and Latin American Communication Monitor. It is also supported with the collaboration of CBS News Digital, HARMAN, Edelman, Seven Hills, Apolitical, Culturintel, Hub Culture, SAWA, SAS Data Analytics, Action Button, Saatchi & Saatchi, and You & Mr. Jones. Cannes Lions International Festival of Creativity The International Festival of Creativity, also known as Cannes Lions, is the world’s leading celebration of creativity in communications and encompasses Lions Health, Lions Innovation and Lions Entertainment. Founded in 1954, the Festival takes place every June in Cannes, France. As the most prestigious international annual advertising and communications awards, entries from all over the world are showcased and judged at the Festival. The five-day Festival is the only truly global meeting place for professionals working in advertising and communications. Attendees from nearly 100 countries come to experience five days of workshops, exhibitions, screenings, master classes and high-profile seminars presented by renowned worldwide industry leaders. • SALES via retail and eCommerce strategy and analytics products from One Click Retail, Clavis Insight and Planet Retail RNG, the world’s premier payments and Fin Tech congress Money20/20, global retail industry summit World Retail Congress and Retail Week. 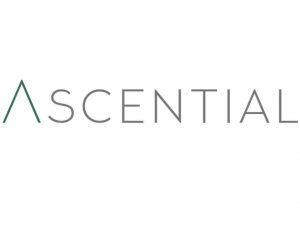 Ascential also powers political, construction and environmental intelligence brands DeHavilland, Glenigan and Groundsure.